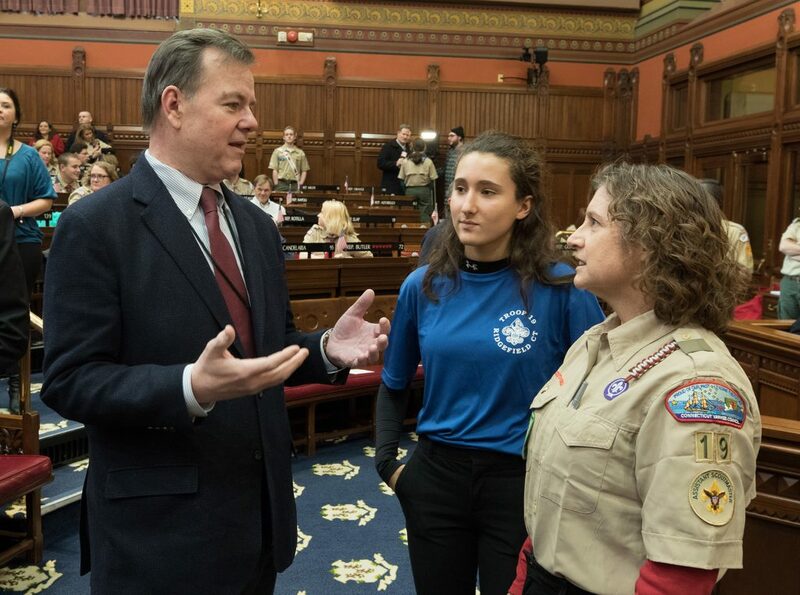 Rep. John Frey was proud to join Ridgefield’s Scout Troop 19, and other Scout Troops, during the 2018 Boy Scouts of America Report to the State at the Capitol last Friday. More than 150 Scouts, their parents, Scout leaders and elected officials packed the Hall of the House to hear the report and to join together for a meet and greet. 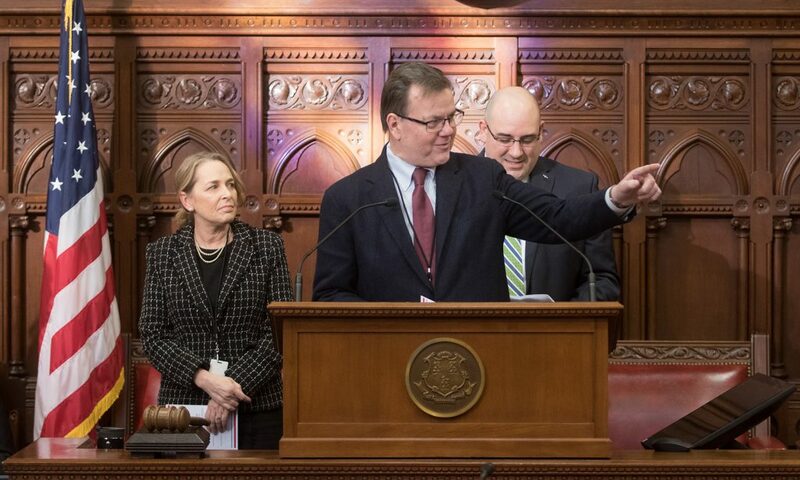 Scouts from all five Connecticut Boy Scout councils visited the Capitol. 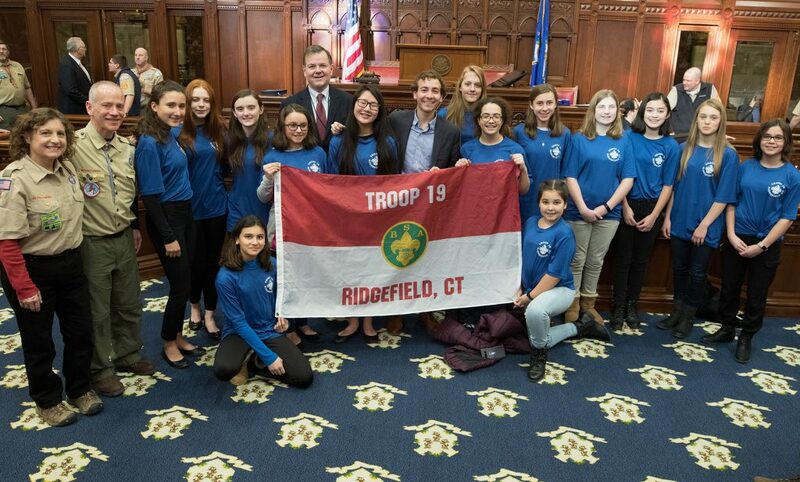 Troop 19 is Ridgefield’s first BSA all girl troop and their Troop number comes from the 19th Amendment to the US Constitution which gave women the right to vote. They are an outdoors-oriented troop and plan to camp at least once a month during the school year, as well as going backpacking, rappelling, taking bike trips and whatever other activities the scouts want to do.